Tarantulas are the oldest spiders on the planet and have venomous fangs that rival many snakes. They have a combination of five characteristics that make them unique. They are hairy, have dense hair pads with retractable claws and long fingerlike spinnerets. They also have cuspules, which are black studs, all around their mouthparts, used to crush food. Lastly, they have eight eyes set in a rectangular position - yet remain almost blind. Other spiders might have one or two of these traits, but only tarantulas have all five. 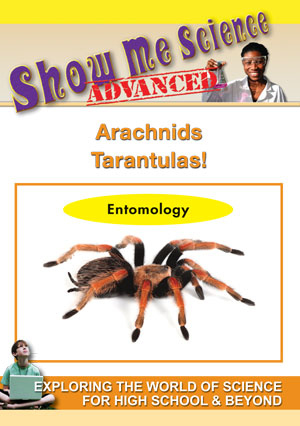 This program crawls right into the complex world of the tarantula and our growing fascination with the king of spiders. It sheds light on different tarantula species from all over the world. A close-up personal look at their physiology shows how they make and use silk. We are discovering that their venom shows promise in developing new medicines. A rare look at their mating rituals and a glimpse of their hunting techniques shows how tarantulas have lived up to their fierce reputations.